Cefdinir (Abbott’s Omnicef, Fujisawa’s Cefzon) is a third-generation, oral cephalosporin available in capsule and oral suspension forms. Cefdinir was developed and launched by Fujisawa in Japan in 1991 as Cefzon. Warner-Lambert’ s Parke-Davis (now Pfizer) was the first to license cefdinir for the United States and Western Europe, and began marketing the product in the United States in 1998. Abbott obtained the exclusive marketing rights from Fujisawa and began marketing the drug as Omnicef in 2000. The agent is expected to retain patent protection through 2007 in the United States. 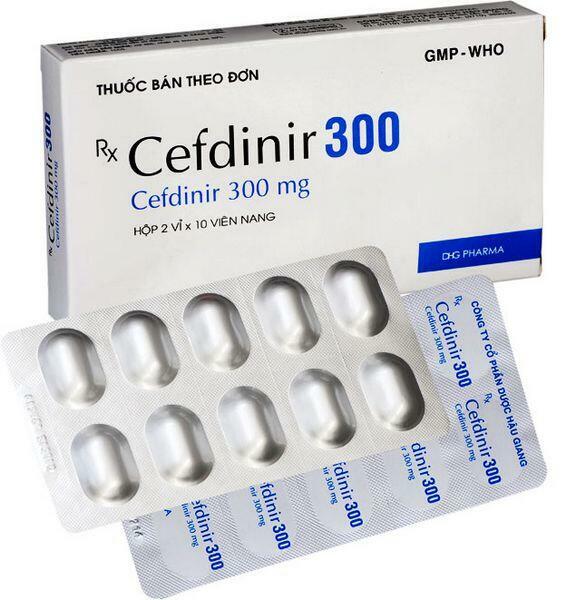 Cefdinir is indicated for the treatment of acute exacerbations of chronic bronchitis in adults and adolescents caused by penicillinase-susceptible S. pneumoniae and all strains of H. influenzae and M. catarrhalis. Cefdinir is stable in the presence of many β-lactamase enzymes, which effectively extends its spectrum of activity against a number of gram-positive and gram-negative bacteria resistant to penicillins and other cephalosporins. Cefdinir has demonstrated activity against S. pneumoniae, H. influenzae, K. pneumoniae, M. catarrhalis, and others. In a randomized, dose-comparative Phase III study enrolling 466 subjects with acute bronchitis, treatment with 600 mg of cefdinir once daily was compared with 300 mg of cefdinir twice daily for ten days. Clinical success in assessable patients receiving once-daily doses was 91%, and the bacteriologic eradication rate was 92%. In assessable patients receiving twice-daily doses, clinical success was 93%, and the bacteriologic eradication rate was 93%. Another trial compared the two cefdinir dosing regimens with cefuroxime axetil in the treatment of acute exacerbations of chronic bronchitis. This double-blind, randomized, multicenter Phase III study enrolled 1,045 subjects and evaluated 589 patient outcomes for efficacy after ten days of therapy. Patients who received 600 mg once daily of cefdinir were clinically cured in 81% of cases; those who received cefdinir in 300 mg doses twice daily were cured in 74% of cases; and those who received 250 mg of cefuroxime axetil twice daily were cured in 80% of cases. The Phase III comparative clinical trial showed that cefdinir had a statistically significant higher rate of adverse reactions (25.9% of 474 patients) than did cephalexin (Lilly’s Keflex, generics), a first-generation cephalosporin (16.1% of 478 patients). 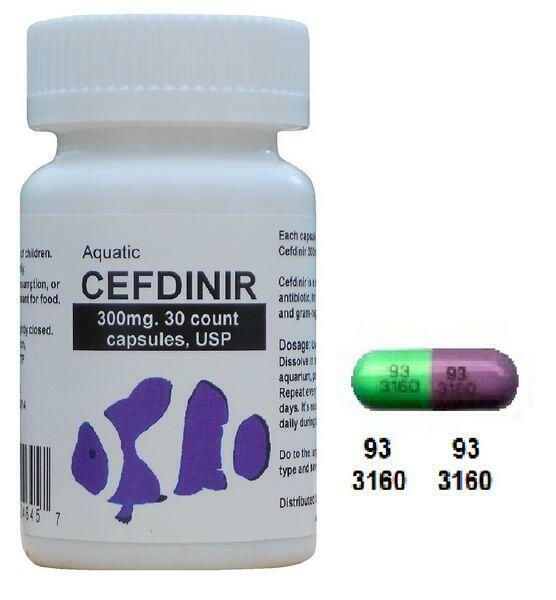 In particular, cefdinir causes more GI discomfort (such as diarrhea) than do other cephalosporins. The most frequently reported adverse reactions in U.S. clinical trials with a total of 3,841 adult cefdinir-treated patients were diarrhea (15%), vaginal moniliasis (4% of women), nausea (3%), and headache (2%). Most adverse events were mild and self-limiting in nature with a low (3%) discontinuation rate due to associated adverse events. The most frequently reported adverse reactions in U.S. clinical trials with a total of 1,783 pediatric cefdinir-treated patients were diarrhea (8%), rash (3%), and vomiting (1%).